This is a beautifully written book, with well crafted characters. 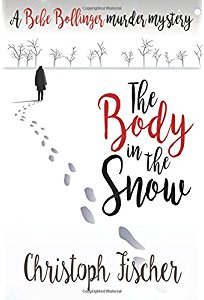 Beth, the lead police officer, investigates the murder of a young woman, who is found dead in the snow. Beth is not the perfect police officer, but in spite of her flaws, she is persistent in her aim to find the killer. Her friendship with Bebe, a singer and suspect, is not best practice, but from both sides it is rather endearing. There are only three houses in the hamlet where the murder is committed and they are cut off by heavy falls of snow. Bebe, Dora and Ian and Christine have chosen to live in this isolated hamlet for various reasons. The reader doesn’t have to deal with gory details of the murder. The key to this book is the puzzle of who was where, when and what could be the possible motive to kill the victim. Alongside the investigation is Bebe’s determination to arrange a comeback for her singing career, in spite of her inefficient manager. I really enjoyed this book and would certainly recommend it highly.